Animal advocates are applauding the introduction of legislation in Hawaii that could make it the first state in the U.S. to go fur free. The bill (SB 1350), which was just introduced by Senator Mike Gabbard, would ban the manufacture and sale of certain fur products in the state, in addition to banning the import of fur products for sale or distribution. As the bill points out, while fur was once used to provide protective clothing, we no longer actually need it and it's become something that's used only for fashion – and the demand for fur no longer justifies the unnecessary killing and cruel treatment of animals. For millions of furbearing animals who are senselessly slaughtered for their fur, this would be a huge step. The vast majority of them are raised and killed on fur farms, where there is little oversight, while the deplorable, inhumane living conditions that take a major psychological and physical toll on furbearers have continued to be exposed again and again around the world. 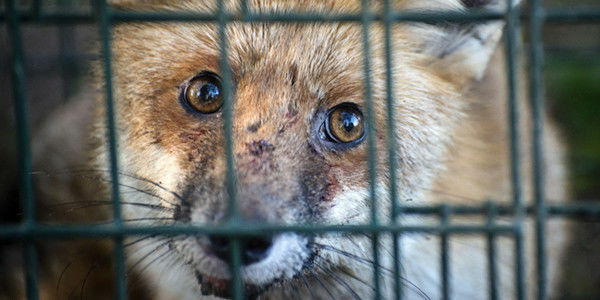 Even fur that comes from wild animals is the result of suffering at the hands of trappers who have an arsenal of tools used to maim and kill, including leghold traps, body-crushing Conibear traps and snares. Fortunately, concerns about the welfare of furbearing animals have led to bans of fur farms in a number of countries, with a growing number moving to phase them out. Now it's time for Hawaii to take the lead in the U.S. by passing legislation that would effectively ban fur products in the state. Not only would this help protect furbearing animals from needless suffering, it would send a strong message that there's nothing fashionable about cruelty to animals.